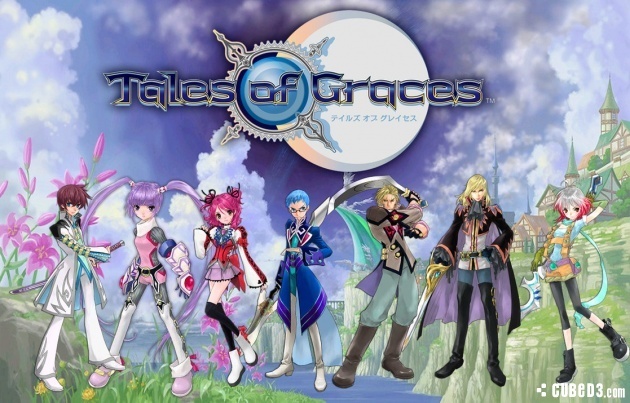 Developed and published by Bandai Namco, Tales of Graces F is most definitely the best Tales of title since Tales of Symphonia and even exceeds it in many aspects! Continue reading the rest of our review to find out just why we hold this game in such high regard! 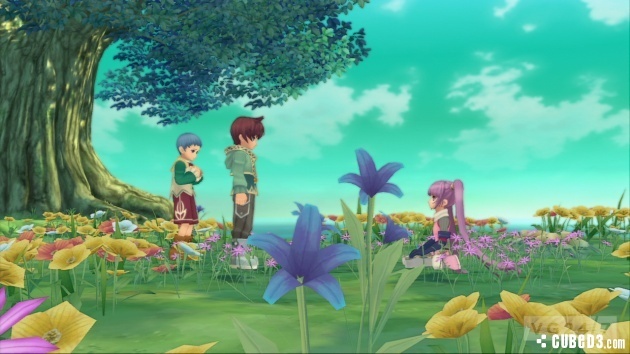 Tales of Graces "F" uture's story is among the best we've seen in ages from a JRPG, it's a tale of growing up and learning from one's past. The main game is separated into three different story arcs, Childhood Arc, Adult Arc, and Future Arc and in-total the game is about 60-70 hours long if you power through it, but if you want to get everything in the game, expect to sink 200-300 hours into the game! The story is a touching and heartfelt one, albeit exceptionally dark. Despite this the game's characters often do a great job at throwing in humor whenever things start getting too dark. 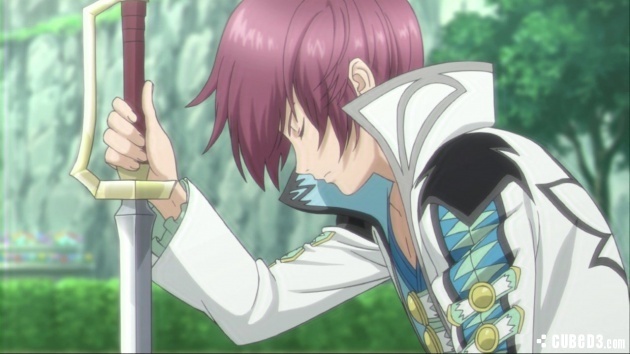 This constant roller-coaster between seriousness and silliness is one of Tales of Graces F's greatest strengths! The gameplay is crazy good with a unique battle system. Basically the battles are in real-time just as in other Tales of titles and you can freely move and attack enemies, but things are pretty different than in say Tales of Symphonia. First of all arts are separated into Assault Arts and Beta Arts, Assault Arts is basically a combo system reminiscent of beat 'em up's and fighters where attacking using different direction combinations will result in different combo attacks, some can be almost as good as Beta Arts, so learning combo's is key to mastering the game! Another unique gameplay element is the revamped title system which allows you to learn arts, upgrade stats and arts, leart unique combat skills, and earn costumes by earning SP, if every time you earn enough SP you'll rank up your titles which each of the five ranks earns you a skill, buff, costume, etc. And once you reach rank 5 you can earn additional SP to master the title which boosts the effects of the title. The game has done away with Technique Points or TP which were basically Magic Points in exchange for a Combo Count system CC for short. Your arts and combo's use up CC and when you run out you can't attack until it recharges, but luckily this only takes a second or two tops. You can raise your CC by gaining levels, reaching certain ranks in certain titles, and by upgrading your weapons. The game also possesses an item upgrade and creation system called dualization which has you combine items to create new ones or upgrade equipment by reforging them into stronger or completely new forms. The game also has some puzzle solving here and there which actually gets quite challenging especially in the Future Arc, but shouldn't be impossible to figure out on your own. As always you can start a new game plus after completing the game, but unlike the typical grade store, you no longer earn Grade Points during battle, instead certain accomplishments earn you points, the best source of Grade Points is easily from mastering titles, each title you master earns you a small sum of Grade Points and with nearly 700 titles in-total you can rack-up a tremendous amount of points to give you an edge in the next playthrough, which you'll need if you ever want to beat the game in Evil difficulty mode. Lastly the game possesses a Trials of Graces mode which gives you some challenges to test your skills of the game, it's an interesting albeit forgettable mode, but can be fun. The controls in the game are easy to learn, but quite difficult to master so you'll need some practice to get skilled at playing this game! As for the audio-visual presentation, Tales of Graces F looks incredible considering it was originally released as a Wii title in Japan, the world is lush and detailed, the characters are unique and look amazing, and the special effects can be breathtaking at times. The soundtrack is absolutely amazing and fits the mood of the game perfectly, while the voice acting is superb! Overall the audio-visual presentation is just as flawless as the rest of the game! With blissful gameplay, a top-notch story, excellent controlls, and a flawless audio-visual presentation, Tales of Graces F is by far the best game in the long-running Tales of series and will provide fans of the genre hundreds of hours of superb gameplay! We wholeheartedly recommend this game to any and all PS3 owners and award this game a perfect level of recommendation! There are a few typos @Reanfan. Nice review otherwise. 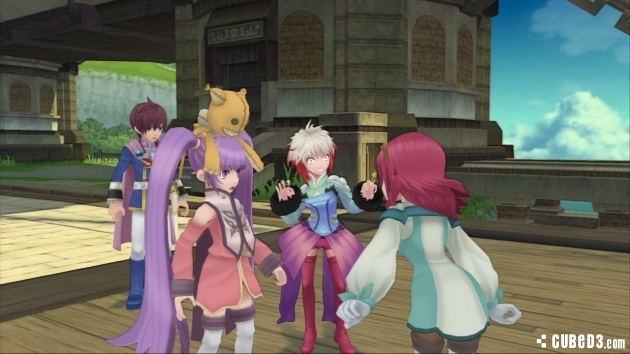 @TalesFanatic Tales of Graces F is incredible, thanks for the detailed comment by the way! Great review @Reanfan! This is my favorite game in the series. Great review @Reanfan. This was an enjoyable read!